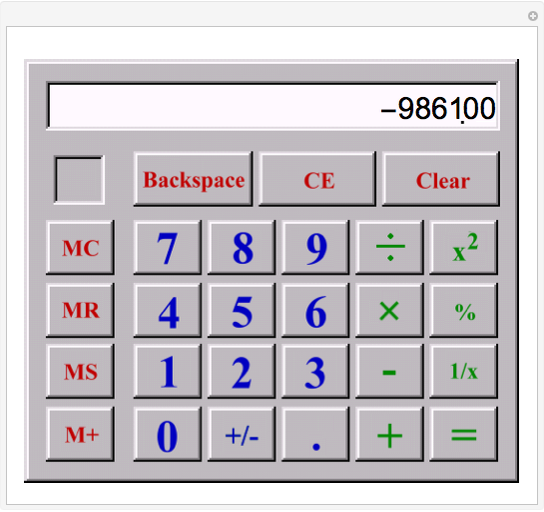 This Demonstration simulates a simple pocket calculator. 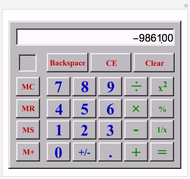 To key in the number 31.5, click the "3" button, then the "1" button, then the "." button, then the "5" button. Buttons "+", "-", "×", "&div;"
Key in the first number, then one of the keys "+", "-" ,"×", "&div;", then the second number. Finally, click "=" to see the result. 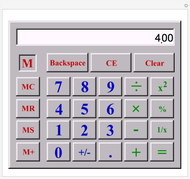 The empty square in the top-left corner shows "M" if there is a nonzero number stored in the memory. 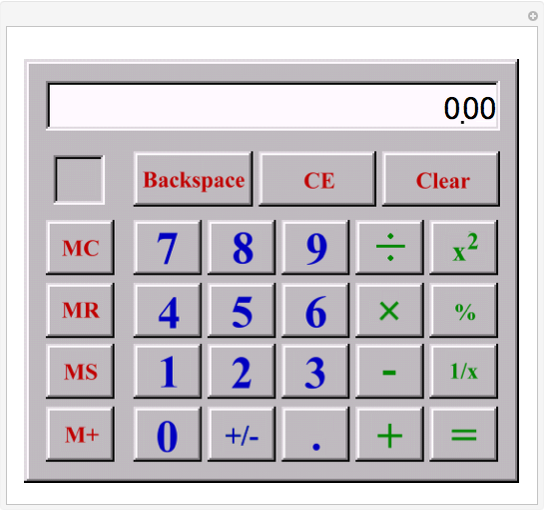 If you have pressed one of the buttons "+", "-", "×", "&div;", the button will be marked by a thin black frame to remind you which calculation you are executing. 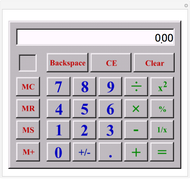 Similarly, you can chain calculating exponentials with integral exponent . 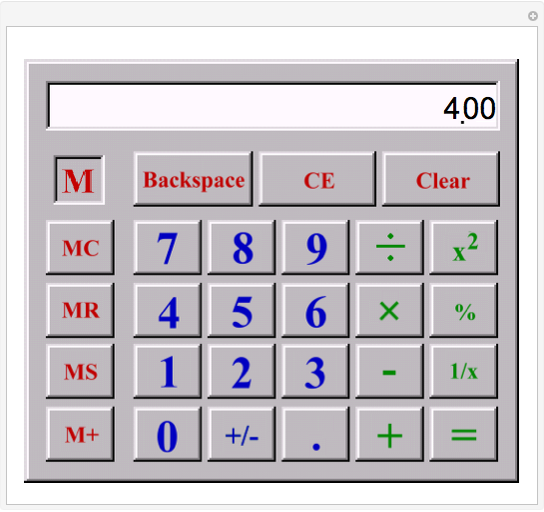 In order to calculate , key in: 5 × 5 = (25) × 5 = (125) × 5 = (625). Limitations - Avoid number overflow! - Only two decimal places available! - There is no rounding in the multiplication result. History This game was originally published as the Zillions games "Calculator" by the same author.